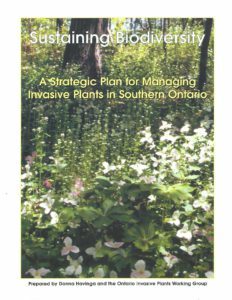 Invasive Species – Urban Forest Associates Inc.
Below are some of the invasive exotic species found in southern Ontario, according to observations from UFORA and our colleagues. We use four categories to sort invasive species based on their greatest negative effect to local ecosystems. The term “invades” refers to exotic species that become significant in a new area; “dominates” means that the species excludes most others; “native” is the same as indigenous. Species marked with an (*) may be native to parts of Ontario, but they display aggressive behaviour that threatens natural biodiversity in certain areas, usually aided by human activities. 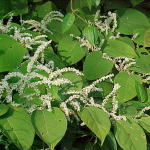 They are considered invasive exotic plants outside their natural range. We are in the process of revising this list for the Invasive Species Centre. We’ll post the new list when it’s finished. Aggressive invasive exotic species that can dominate a site to exclude all other species and remain dominant on the site indefinitely. These are a threat to natural areas wherever they occur because they can reproduce by means that allow them to move long distances. Many of these are dispersed by birds, wind, water or vegetative reproduction. These are the top priority for control, but control may be difficult. Eradication may be the only option for long-term success. Exotic species that are highly invasive but tend to only dominate certain niches or do not spread rapidly from major concentrations. 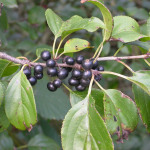 Many of these spread vegetatively, or by seeds that drop close to the parent plant. They may have been deliberately planted and persist in dense populations for long periods. Control where necessary and limit their spread to other areas. 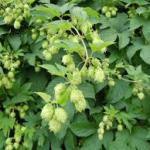 Exotic species that are moderately invasive but can become locally dominant when the proper conditions exist. Exotic species that do not pose a serious threat to natural areas unless they are competing directly with more desirable vegetation. These can often be tolerated in restoration projects if they are already present. They may eventually be replaced through natural succession or management. 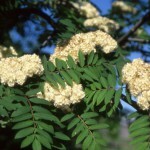 Some of these species have the potential to become invasive exotics in Ontario. They can reproduce aggressively on occasion but have not been shown to be a serious threat to natural areas in the province. Some are very similar to indigenous species and could simply have been overlooked.